The stubbornly high fuel prices of the past few years have focused considerable attention on the need for more fuel-efficient vehicles. Government regulators, environmentalists, lawmakers and automobile manufactures are all on a mission to improve the fuel efficiency of vehicles manufactured and used in the U.S. As a consumer, the easiest way you can contribute to the effort is to ditch your gas-guzzler and drive a more environmentally friendly car. However, not all of us can afford a new car, or may not necessarily want one. Even if a new car is not in your budget or your wish list, there are several measures you can take to improve the gas mileage of your current vehicle. One of the most obvious measures is to ensure that your vehicle is properly maintained. Vehicles become less fuel-efficient as they age mainly because critical components like the carburetor, spark plugs and air filters become clogged with grime and dirt. Regular maintenance of these components can help keep your vehicle running as fuel-efficiently as it was designed to, for years. Driving at, or under the speed limit is also a good way to optimize fuel use. When you drive over your vehicle’s optimal fuel economy speed, you tend to use up more gas. Studies have shown that by cutting down on excessive speeding or acceleration you can cut down on fuel consumption by as much as 30 percent. Similarly, keeping your tires properly inflated and minimizing cargo can help you save fuel. Try not to load your vehicle too excessively. If you must carry something heavy avoid putting it in a cargo box on the roof because a cargo-box reduces the aerodynamic efficiency of your vehicle and increases drag. Both factors can substantially reduce your vehicle’s fuel efficiency. Another way to minimize gas consumption is to use cruise control as much as you an especially on long hauls. Cruise control helps maintain your car at a steady speed and reduces the need for constant acceleration and braking. Buying gas at the coolest time of the day is another way to save on fuel because it minimizes wastage due to evaporation. What tools are needed to remove a diesel fuel injector? Removing your diesel fuel injectors may seem like a job for only a skilled mechanic but the truth is with the right tools, just about anyone with a little know how can remove their diesel fuel injectors. There are a few different tools that you will need to remove the fuel injectors from any diesel engine and with these tools, you can have your engine pulled apart in no time. The first tool you will need is of course you run of the mill wrenches. This is to remove any covers, protective shields, and more that help to keep your engine enclosed. This type of tool is something that just about everyone has and there should be no reason to buy a new set. Wrenches are easy to come by and most injector covers use standard size nuts and bolts which means that you will not need to buy any special wrenches that are hard to find or useless for other jobs afterward. The next tool you will need is of course what you will need to take the injector out themselves. This tool is ironically enough called a fuel injector remover. This tool offers a wide range of sockets, much like a ratchet set, that will fit injectors of any size. The set also includes the clamps and bars that you will need to create adequate leverage to remove your injectors. Depending on what company you purchase from, you may also find a simpler, less complicated tool. The less complicated tool is also a fuel injector remover but instead of complicated sockets and clamps, this tool is simply a tube in which you place your injectors then pull. If you feel at any time that you are not able to remove your injectors properly, you may want to call a mechanic to get some pointers. Alert, alert! A new GM recall has arrived. General Motors just issued a new recall of 1.5 million vehicles this week. Watch the video below featured GM’s CEO Mary Barra to learn more about the recall. The car’s weight is expected to be reduced and a nine-speed automatic transmission will be offered as part of an effort to improve the big car’s fuel economy and performance, an industry source with knowledge of the redesign told Edmunds. Additionally, the redesigned Taurus will share a front-drive vehicle platform with the Ford Fusion. The current Taurus was developed on a modified Volvo platform. 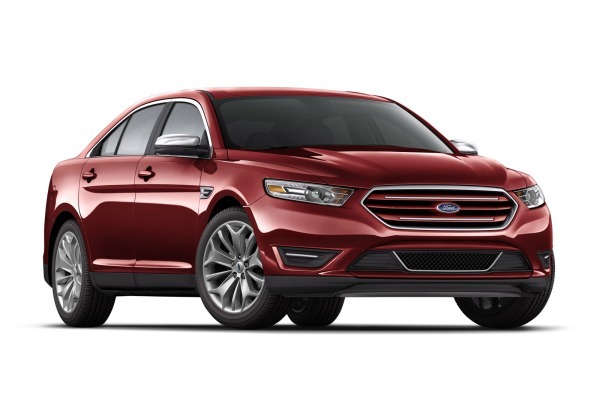 Will you be shopping for a new 2016 Ford Taurus? Do you have a problem with your 6.0L Powerstroke engine? You are not the only one. There are a number of common issues associated with this type of engine. If you have a vehicle with this type of engine, your engine trouble may be caused by one of these failures. Sand that remains in the oiler cooler of the 6.0L Powerstroke from the manufacturing process commonly causes the oil cooler to fail. Using poor quality motor oil in the engine may lead to accelerated oil cooler failure. The exhaust gas recirculation (EGR) valves, used on the engine to lower emissions, can fail after a build of soot when the EGR coolers do not work properly. White smoke, which is actually escaping steam, in the exhaust is a sign of failure. The fuel injection control module (FICM) can burn out quickly on the 6.0L Powerstroke engine due to excessive heat and vibrations. Stalling and a rough ride are signs of FICM trouble and demand attention. The swash plate style pump of the 6.0L’s high pressure oil pump (HPOP) is known to have many issues ranging from the leaking of seals to even a complete malfunction. Some 6.0L Powerstroke engines were shipped with faulty injection control pressure (ICP) sensors. Replacement ICP sensors typically experience none of the issues associated with the original sensors. The high-pressure oil rail’s plugs have faulty O rings and can lead to stalling or difficulty in starting the vehicle. The degas bottle has a leakage problem due to faulty seams. The hydraulically actuated electronically-controlled unit injector (HUEI) in this engine type can become stuck more easily than with other engines. Low quality oil and fuel can increase the chance of the HUEI sticking. Vehicles often develop certain issues and problems, but the specific concerns and the severity of those problems can vary. By recognizing the common issues that arise in the 7.3L Powerstroke diesel engine, it is easier to identify any concerns before buying the vehicle. A common problem that occurs in the 7.3L Powerstroke engine is the failure of certain parts. Although a variety of parts can fail or have problems, the CAM position sensor is a common part that often fails. In general, it is necessary to replace the sensor after it fails. The part is not expensive when compared to other parts, but it can be an annoying problem. The transmission is considered the weak point of the 7.3L Powerstroke, and it can cause a variety of problems. The transmission is particularly likely to develop a catch and slip, which can be a problem when it happens at stop lights and signs. A catch and slip is most likely to occur during cold weather conditions and happens rarely during the summer, but it can be a sign that work is necessary. Automatic transmissions commonly develop the problem. The 7.3L Powerstroke is not the most powerful engine, and it may cause problems when measures are taken to make it more powerful. It is generally best to avoid any alterations to the engine that are not part of regular maintenance or the replacement of faulty parts. Even though the 7.3L Powerstroke does have some common concerns that may arise, the most common problems are related to the power and the potential for parts to fail. Most of the problems can be avoided or limited with proper maintenance, though some issues may require immediate replacements or repairs when the problem arises.